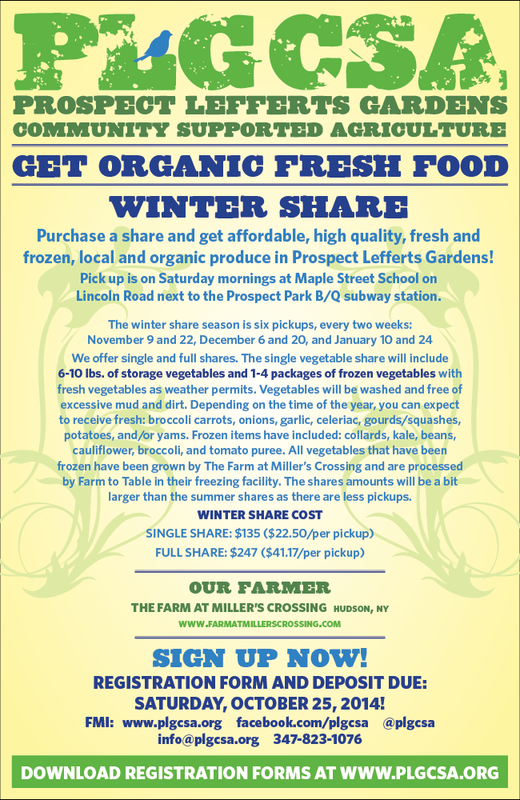 2014-15 WINTER SHARE REGISTRATION NOW OPEN! IT’S HERE! Winter is coming. The 2014-15 WINTER SEASON registration is NOW OPEN! Shorter than the summer season, it is 6 pick ups every two weeks starting in November (with a break around the holidays). The cost is $135 for a single and $247 for a full share (which is different than a double…). You’ll receive 6-10 pounds of storage vegetables (sweet potatoes, potatoes, garlic, onions, carrots, celeriac, squashes/pumpkins, etc. 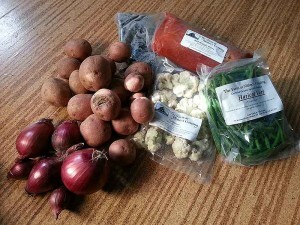 ), 1-4 fresh flash-frozen items (kale, collards, peppers, cauliflower, broccoli, tomato puree, etc. ), and fresh vegetables as weather permits (broccoli, kale, lettuce). There is no fruit or eggs in the winter season. See the form for details and to register. It’s a GREAT value, less intense than the summer season as most of the veggies are storage and frozen items, and a great way to have fresh, organic staples in your home. Last year, I didn’t buy a carrot until April! We will be doing in-person registrations at Maple Street School (21 Lincoln Road) in October. We will let you know as the date approaches so you can bring your checkbooks! If you are interested in helping with tabling and outreach, please email us directly at board[at]plgcsa.org. As well, if you can post this info in your apartment building or listserv, please share and forward widely! The more people we can reach, the more food we can get to folks!